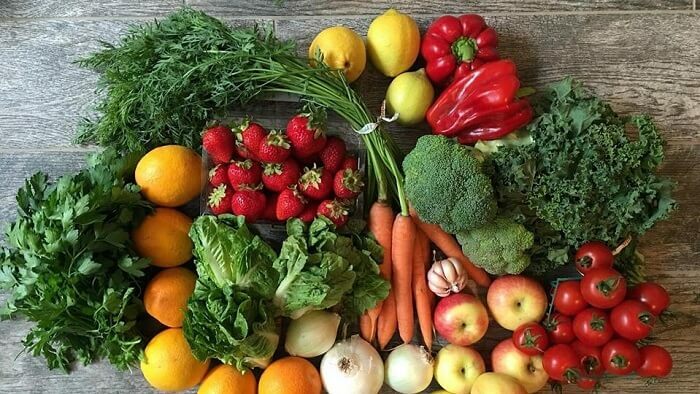 Local Harvest Delivery, located in Santa Barbara, California, was founded by two long-time health-conscious friends, Julie Beaumont and Sarah Coffman. Through partnerships with local farmers, the company delivers fresh produce to the homes of customers in the Santa Barbara area. The owners of Local Harvest are health advocates who want to help people come together to enjoy healthy meals at casual get-togethers and private family dinners. Local Harvest meets with farmers and artisans every Saturday to decide what produce will go in their harvest boxes. Weekly meetings ensure that they are providing the freshest produce available to their customers. All of the customer’s orders are sent to their door by the end of the day. Customers conduct orders through the Local Harvest website. Firstly, customers begin by selecting a harvest box which can be customized. Then, they may substitute current items with different items, delete unwanted items or add new items to the box. Some of the items available include bread, fish, eggs and fruits and vegetables. Local Harvest takes pride in the fact that they offer fresh, organic and/or chemical free produce. Next, customers select a maximum number of items based on the dollar value of their chosen harvest box. Lastly, there are six types of harvest boxes that range in price between $25 and $45. The Local Harvest delivery areas are Goleta, Santa Barbara, Montecito, Summerland, Carpinteria and Ventura. Goleta is a city in southern Santa Barbara County. It is famous by the name of The Good Land of Santa Barbara with a 10-mile stretch of beautiful coastal and agricultural land. Montecito is the host city of the 2017 Santa Barbara Wine and Food Festival. Summerland, a beach town, is located just five miles south of Santa Barbara. Carpinteria is a small city near the ocean in southeastern Santa Barbara County, northwest of Ventura. There are many farms in Ventura, California that offer fresh fruits and vegetables that are showcased each year on Ventura Farm Day. Customers must place all requests for delivery and/or cancellation prior to the 3 pm deadline on Wednesdays. Cancellations should be sent by email to info@localharvestdelivery.com. Anyone that signs up for reoccurring orders, who is going to be out of town or on vacation can notify Local Harvest of their status by logging onto the website. The deliveries go out on Saturdays between 12 pm and 8pm. Customers do not need to be at home at the time of delivery, because the produce is secure in wax boxes. These boxes keep the food fresh for several hours. Furthermore, cold items are left in special cooler bags with ice packs. Local Harvest makes their invoices on the Thursday prior to the Saturday delivery. They place a charge on the customer’s card on file for the amount of that week’s order. If the customer chooses one of the harvest boxes on a recurring order there is no delivery fee. If the customer orders a la carte without a harvest box, the order must total at least $60 in order ignore the delivery fee in the amount of $10. The company encourages customers to place their empty produce boxes at a preset delivery drop-off spot so that Local Harvest can pick them up. However, if one customer does not return the box, there is a fee in the amount of $2.50 for each box. If the box is left in the same spot on the next Saturday, the $2.50 fee will be sent back to the customer’s card. The cooler bags and ice packs also need returning. If a customer’s card doesn’t work, Local Harvest will HOLD that customer’s delivery until they update the information in their account. Orders for long-term customers with a set payment history will get delivery for up to two weeks before the company places a HOLD on their delivery. Chuy’s Berry Farm, Owned by Mesa Produce. Local Harvest first began with two people who love their families and care about the food that they eat. If you are health-conscious and want the peace of mind of knowing where the food comes from that you feed your family, sign up for Local Harvest Delivery today. Hey Buddy!, I found this information for you: "Local Harvest Delivery 101: Areas, Hours, Fees". Here is the website link: https://all2door.com/local-harvest-delivery/. Thank you.